The OVMS does now also support i-Miev. It is first developed for Tesla Roadster, but the software is open source and adapted to work with several EV. Last edited by TestO on Wed Sep 25, 2013 11:46 am, edited 2 times in total. Very nice, though that's an Vauxhall Ampera. Arguably better looking than the Volt. 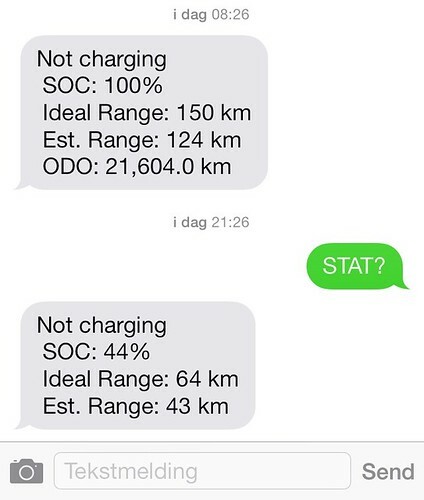 I was reading on the Tesla forum that the OVMS has the capability to stop charge at either a desired range or a SOC. 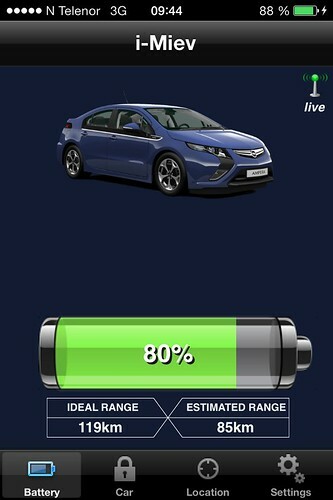 Have you or anyone else tried to get the i-MiEV to stop charge at 80%, for example? I gather daily readings of usage, distance, HVAC usage, etc. Currently, the best (most accurate) way to gather daily usage info is to allow the car to fully charge everyday, so that ending SoC is the same. I would like the capability to automatically stop charge at a lower SoC, say 85-90% to extend the life of my battery. I need a step by step guide! What do I need to buy? Once the box is installed and the app is installed, what next? It seems like a cool extra feature to buy. I have been to the ovms site and zero carbon world, but cannot see the i-miev mentioned. The document is for Tesla, but the setup of the module is the same. Support within OVMS is still in active development and may not work 'out of the box'. Before you gain access to the hidden features of your car you may need to update the module's firmware. regardless of whether or not the car is on (haven't tried charging yet). 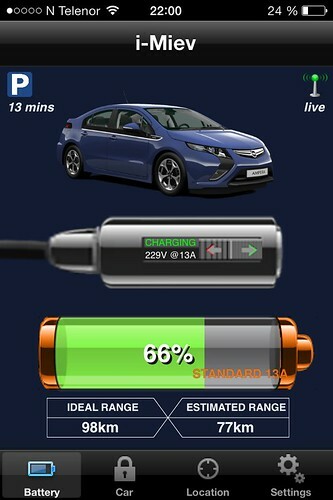 I know the car broadcasts SoC on the CANbus while on and charging, as shown in the CanIon Android app. **EDIT** Is this the software to download and flash to the OVMS module to work with the i-MiEV? If it is, how do I prepare the software to flash? I got it working with help from the Tesla forum. I'll post pictures of my install soon. Right now, I can see location, SoC, range, and what voltage and amperage the car is charging at. No control is available yet. Good work. Have a updated FW under testing now. Have fixed issues where we got false 12V alerts and false quick charge detection. If anyone is interested I can send you the updated FW for testing before i push it to GitHub. Haven't seen any issues with 12 volt or QC. Any new features in the latest firmware? It's working good so far. Had an issue before where location would show my car near a gold mine in the U.K., but that might have been lack of signal from the GPS since I have it buried under the dash. 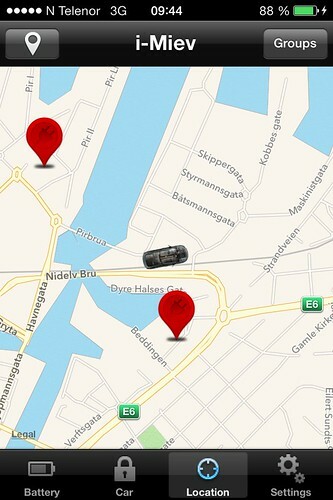 Location is working now. Would this be a good list of parts needed?